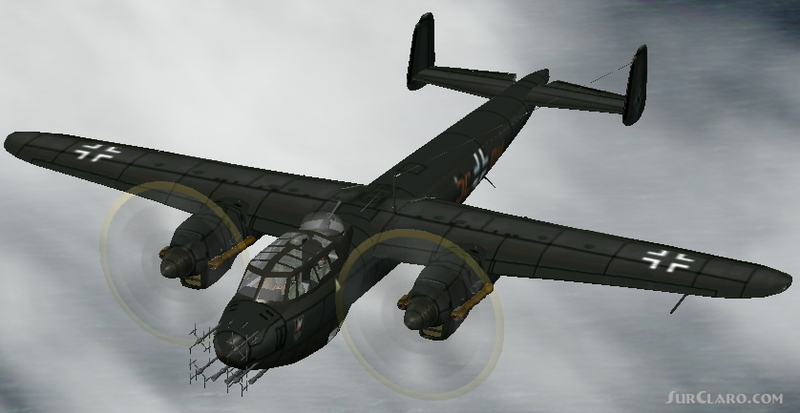 FS2002 FS2004 Dornier Do217N1 Night Fighter. The Do217 in its first form was first flown in 1938 and was developed for the need for a larger derivative of the Do17. It was employed in various roles until the end of the war. Type N1 was the second nightfighter variant and differed externally from the J by the change in powerplant from radial to inline engines. by Kazunori Ito. FS2002 FS2004 Dornier Do217N1 Night Fighter. Rating: 10.00 of 10 over a total of 1 reviews.